Limited Time Offer! 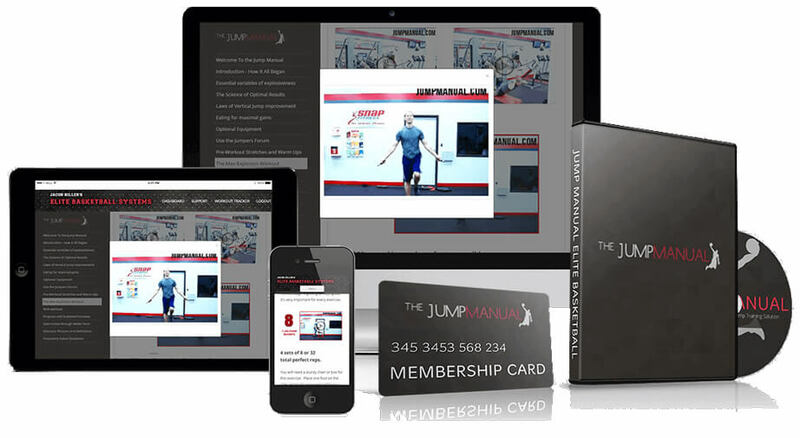 Get The Complete Jump Manual™ and Free Bonuses for Only $97 Today! “(when I started) I definitely couldn’t dunk… It didnt take very long at all, I was seeing some gains pretty quick… (My freshman year) I was the only one in the entire school that could dunk. And (the seniors) were pretty jealous. I’ve gain about 13-14 inches. I measured (my vertical) in 8th grade and it was about 29″ and now I’m at 42″.Just trust the program and follow it as closely as possible…” *Disclaimer: Results may vary, and testimonials are not claimed to represent typical results. There are 9 aspects involved in maximizing your vertical jump. When each of these qualities is increased there is a synergistic effect creating maximum explosion. 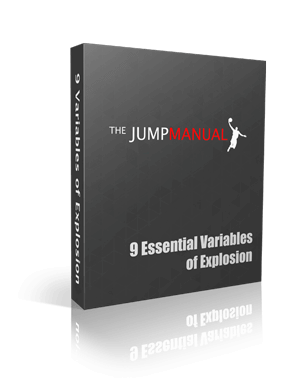 In Chapter 1 we go over these 9 essential variables of explosiveness... Each of these need to work together to create explosion and upward propulsion. In Chapter 4 you'll find the critical elements of eating for maximum gains. I also include a basic nutrition plan that anyone can follow. This is VERY important... Many athletes don't realize that there are muscles that aren't used when jumping that will cause "resistance" and decrease your jumping ability. I'll show you exactly how to avoid that. In chapter 8, you'll learn the exact workout, in combination with other techniques in the manual, that athletes have used to gain up to 10-20" on their vertical jump... *Disclaimer:Results may vary, and testimonials are not claimed to represent typical results. 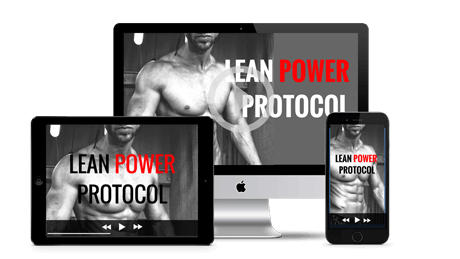 Our exclusive video exercise library. View the exercises on mobile, tablet, or desktop. Know exactly how to perform each exercise. 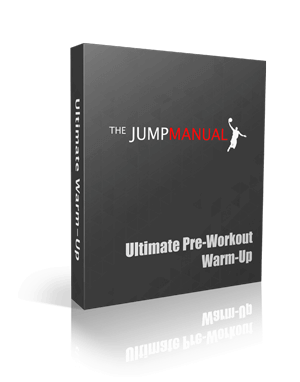 Many exercises ONLY found in The Jump Manual. PLUS, ORDER NOW And You'll Get These Bonus Gifts - FREE! The "Nutrient Timing" trick that naturally and safely increases your muscle growing hormones. Step by step plan using normal foods which causes you to burn fat while also helping lean muscle growth. How changing your last step before you jump will add inches to your vertical leap - I call it the "trampoline effect" or "penultimate step." *Disclaimer: Results may vary, and testimonials are not claimed to represent typical results. How "pre ground contact acceleration" can increase your vertical by adding power and spring through your tendons (not your muscles). How to systemically increase the "electrical impulse" that your brain sends your muscles - In science it's called "neural drive." 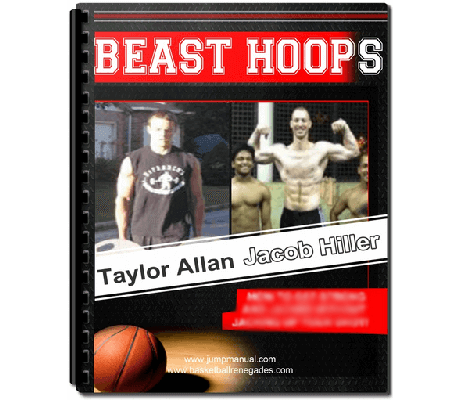 Learn basketball-specific Upper Body Workout to get strong by Taylor Allan & Jacob Hiller! I don't sell Beast Hoops... so this is the only way to get access to it. 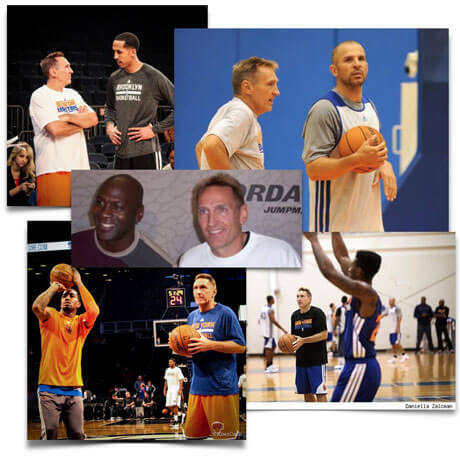 Dave Hopla is a highly sought after shooting coach that has worked with athletes such as Ray Allen, Kobe Bryant, Gilbert Arenas, and many others. Coach Hopla personally shoots regularly over 99%. During a lecture series Coach Hopla shot 35,332 out of 35,979. He also made 1,234 free throws in a row, and he earned the Guinness World Record for most NBA range 3 pointers in one minute. *Disclaimer: Results may vary, and testimonials are not claimed to represent typical results. In this interview Dave goes over the same system he uses to coach NBA players. 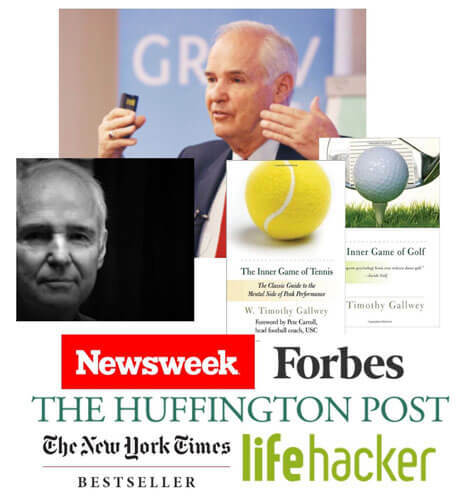 Mr. Gallwey's books are often required reading many top level university courses. In this interview Tim reveals the tricks he's taught to professional athletes all over the world about how to get into “zone” and stay there. 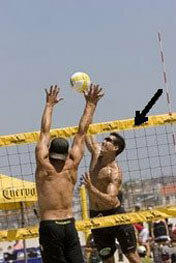 As a professional beach volleyball player, I was looking for an edge going into my 9th season on the AVP tour. I am so thankful I found the Jump Manual! After two months on the programs, my legs are stronger than they have been in years and my knee feel great! I’m jumping higher, hitting harder, and stuffing balls at the net. I’d recommend this program to anyone looking to take their game to the next level. *Disclaimer: Results may vary, and testimonials are not claimed to represent typical results. "my vert was 20 inches and now its 38-39 ish. I can dunk with ease..."
*Disclaimer: Results may vary, and testimonials are not claimed to represent typical results. 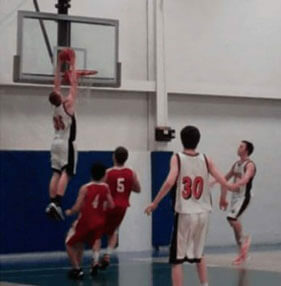 Q1: Can I Really Jump Higher? Throughout the years, there have been many failed attempts at using a new technique to improve the height we can reach. However, it has been proven since that it is not the fact that we cannot reach a higher level – it is the fact that we simply have not used the right techniques in the past. It’s far easier to deal with being unable to improve if you believe it is impossible, rather than wasting your time. There are also many athletes who have wasted years of their careers trying to improve by using the wrong techniques. However, when these same athletes have changed to the Jump Manual program, they have noticed a staggering increase in the quality of their jump. However, many athletes have been unable to make up for lost time – starting from nil and working to improve is much simpler. The confidence in this system comes purely from the success rate that it has had. There are just too many positive testimonials and people showing a noticeable increase in their aerial prowess to say it does not work. If you are looking for a system that simply works – then this is it. We regularly hear back from the athletes we have worked with to tell us just how much it has helped them improve. We genuinely do believe that the feedback has been so overwhelmingly positive, that if you take this course on and apply it properly – you will succeed with it. What have you got to lose? Q2: When Can I Get Started? If you are already raring to go, then that is a good sign. You will be happy to know that if you want to be improving you jump starting today, then you can – the Jump Manual is downloadable instantly. You don’t need to wait for the delivery man, or wait three weeks to speak to us – once you buy it, you have it. Made into an easy to use and download digital format, you get everything you need in one location. That’s right, you can instantly download all of the details, information, instructions and training right onto your hard-drive. This means you can get immediate – and mobile – access to your Jump Manual, giving you full control. As soon as you buy the product, you will be given full access, no waiting around. It’s also fully printable. Coming in a simple eBook format that has been ensured to work on any operating system, you will also receive regular notifications about updates and changes to the program over time. This allows you to get immediate access to any groundbreaking changes that we encounter! Q3: What are the benefits of the Jump Manual? Q4: Is This Program For Me or Somebody I Know? Put quite simply, if you aren’t reaching the 40”-50” range with your jumping, then you can improve upon your current level. If you know anybody who uses jumping as a part of their sporting work, then you need to inform them of the importance of using the Jump Manual. If you are an athlete, and the air is one of the things you struggle with – which is very common – then this could certainly improve your standard very quickly. Of course, the work isn’t going to be easy – nothing worth having is – and you will need to work incredibly hard. But this has the potential to take your game to a whole new level – why would you not want to take on that opportunity? Q5: Do I Need to Buy Any Equipment? Unlike most training regimes, you won’t need to part with your hard-earned cash and space to buy specific equipment. Although having access to a weight room or a gym can be very useful, if you have a local training center you can use then that will do. If you don’t, you will find excellent work-outs that will work regardless. 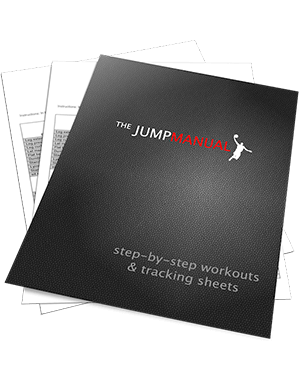 Don’t worry – you won’t buy the Jump Manual only to find out that you need to spend thousands of dollars on expensive equipment. You also won’t need to renovate the house to fit in your new training center – in the book, you will find out training exercises that are extremely effective and they won’t cost you a single penny. 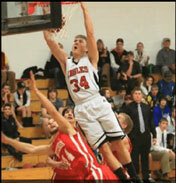 Jacob believe that Jump Manual will help you increase your vertical leap. You are backed with a 100% Full Money Back Guarantee, if you are not satisfied with your result for whatever reason, you can get a full refund within 60 Days. FTC Legal Disclaimer: Results may vary, and testimonials are not claimed to represent typical results. All testimonials are real. However, these results are meant as a showcase of what the best, most motivated clients have done and should not be taken as average or typical results. In addition, you assume certain risks inherent in exercise and nutrition programs by using this system. The Jump Manual involves body weight exercises, weight lifting, and high intensity cardiovascular exercise. You should not begin the program if you are severely obese, or if you have a physical condition that makes intense exercise dangerous. 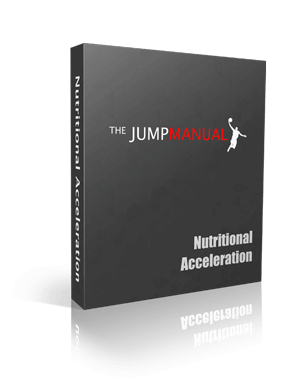 In addition, The Jump Manual requires you to follow an eating plan and at times restrict the amount of calories you consume. You should not begin this eating plan if you have physical or psychological issues which make fat loss dangerous. Jacob is not a doctor, and his advice is not a substitute for medical advice. Consult your physician before beginning any exercise or nutrition program. See our full FTC Legal Disclaimer for complete detail. As with any exercise program, you assume certain risks to your health and safety by following The Jump Manual. Any form of exercise can cause injuries if the exercises are performed incorrectly, and The Jump Manual is no exception. It is possible that you may become injured doing the exercises in this program, especially if they are done with poor form. Although thorough instruction is included on a form for each exercise, realize that The Jump Manual (like any other exercise program) does involve a risk of injury. Jacob offers a 60 Day, 100% money-back guarantee — you can return the program within 60 days for any reason if you are not satisfied with the results. However, Jacob cannot guarantee your results with The Jump Manual. It is possible that you will not experience an increase in vertical leap, or jump higher, with this program. It is also possible that you will experience decreased in vertical leap and jump lower. Jacob's story, and the stories of the clients you see on this page are real. However, it must be disclaimed that these testimonials are not claimed to represent typical results with the program. They are meant as a showcase of what the most motivated and dedicated clients can do with the program. Your results may vary, and you may not get the same results when using this program due to differences in your individual exercise history, genetics, and personal motivation. Please see our full FTC Legal Disclaimer for more information on typical results, risks, and testimonials disclaimer.